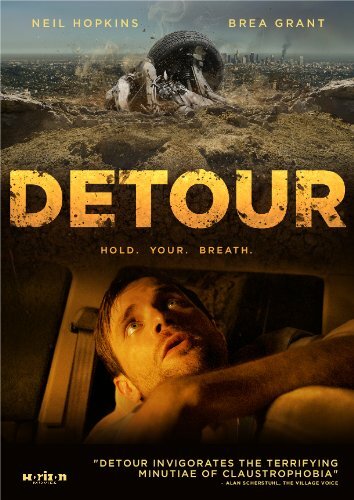 My debut feature film, DETOUR, was released today on DVD through Kino Lorber. Here’s the lowdown: Trapped inside his car by a mudslide, slick Los Angeles businessman Jackson Alder suddenly finds himself in a situation he can’t talk his way out of. With no hope of rescue, he must defy the odds, battling Mother Nature for his survival. This also means the film is available on NetFlix. Put the movie at the top of your queue and take the ride with Jackson. I recommend watching it late at night, in a dark room, and with a sound system that includes a subwoofer. We designed the home video experience to look, sound and feel like you are trapped in the car right there with him. The rat’s rabbits are calling, the ladies and rabbits are calling…what are you waiting for?